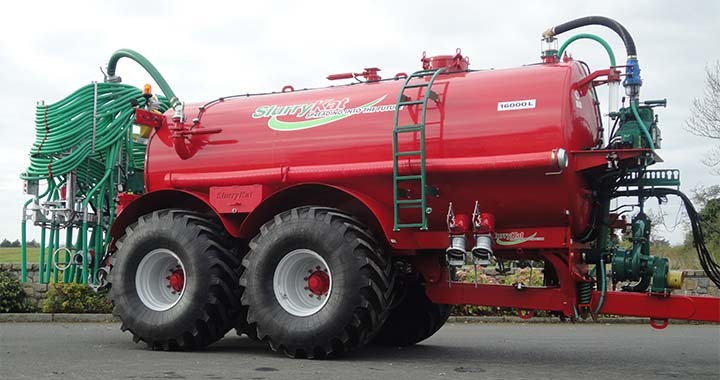 SlurryKat, a multi-award winning slurry / manure-handling specialist based in Waringstown, Northern Ireland confirmed its expanding distribution plans for the hand-made tankers to meet worldwide demand. SlurryKat has been growing significantly in Ireland, UK & Europe. SlurryKat has announced an international distribution program for its tanker with the world’s first unique integrated pumping & spreading system, to meet worldwide demand for the company’s first-of-its-kind manure / slurry distribution technology for professional contractors and high usage farmers. SlurryKat, a multi-award winning slurry-handling specialist based in Waringstown, Northern Ireland confirmed its expanding distribution plans for the hand-made tankers to meet worldwide demand. Requests for the SlurryKat tankers are already high throughout Ireland and the UK, and demand has risen significantly throughout Europe. Its success in Ireland and throughout the UK drew the attention of additional markets in the U.S., Canada, and across Europe, causing SlurryKat Chief Executive and Principal Engineer Garth Cairns to launch distribution initiatives on a global scale. “SlurryKat has been growing significantly in Ireland, UK & Europe,” Cairns says. “Our exclusive umbilical method of manure / slurry handling and award-winning dribble bar technology has put demand for our unique tankers on top in the world market, and we are rising to the occasion,” Cairns says. Because of this demand, SlurryKat are now proactively seeking dealerships throughout the U.S.A, Canada & Europe to assist in the distribution of high quality slurry-handling equipment. 8.5 feet transport width with full road lighting as standard. The SlurryKat tankers also boast SlurryKat’s unique laser cut, press formed taper chassis system. 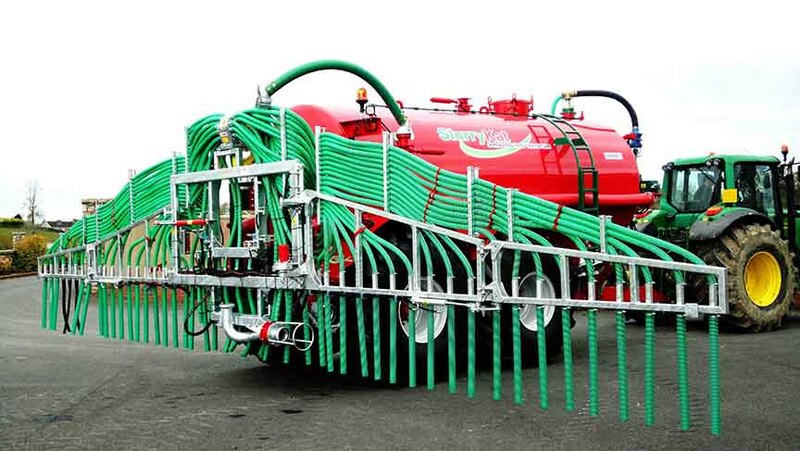 SlurryKat’s unique pumping discharge system includes a Doda horizontal chopper pump for feeding the umbilical system through a fully automatic SlurryKat discharge arm, allowing the operator to pull up at the field entrance and connect onto the SlurryKat’s non-return pod that sits on the roadside field gap. Once connected to the umbilical system in the field, the load is discharged and released, and the tanker is on its way for another load in a matter of seconds. With SlurryKat’s customizable in-cab technology, the entire process is fully automatic from the safety of the tractor cab. The SlurryKat’s tanker dribble bar was developed by Cairns following the hugely successful 7.5m Compax with a light weight, yet robust dribble bar for spreading in all conditions and terrains. With its headquarters and main factory in Warringstown, Northern Ireland, SlurryKat also has offices in Dublin and Bristol, UK. The company is expanding worldwide to fulfill growing customer demand in the US, Canada,, Australia, New Zealand and throughout Europe. For more information, visit the SlurryKat website, Email sales(at)slurrykat(dot)com, or call 028 3882 0862 (or 0044 28 3882 0862 for international callers). SlurryKat’s unique umbilical method of manure / slurry handling uses a high-pressure pump unit to drive the liquid from the tank via a pipeline attached to a tractor-mounted applicator unit. The system’s applicator unit is driven in straight lines, dragging the supply pipe (known as the Drag Hose) up and down the spreading field for uniform distribution. SlurryKat has won numerous awards for its innovation and design, most recently “Company of the Year, 2011” presented by the Association of Charted Accountants, Ireland. The company’s growing reputation for excellence has earned SlurryKat recognition as a serious contender in the world-class market, already supplying its unique agricultural slurry handling equipment to more than 17 countries. The SlurryKat equipment catalogue includes a full range of slurry equipment, including: dribble bars, tankers, trailers [SK trailers] pumping systems, reelers, flowmetering systems, parts and accessories.